Looks like everyone has been coco for coconuts lately. In the past year, we have seen doctors nutritionists, skin care professionals, and even makeup artists recommend and put this yummy and healthy oil to great use. You will question, well coconuts have been around for forever now, why the sudden popularity? The answer is that in the 1970s a propaganda spread by the corn oil and soy oil industries against coconut oil. 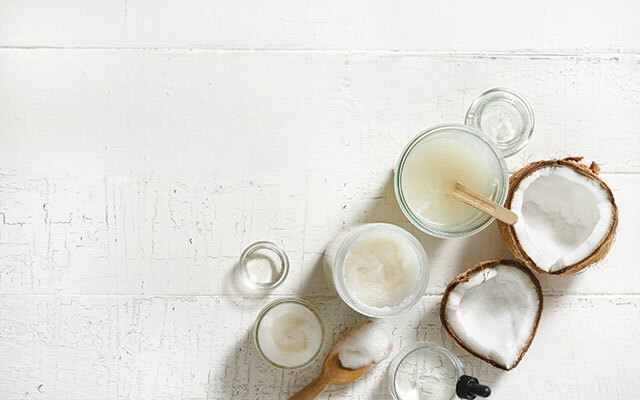 They stated that coconut oil was considered harmful for the human body due to its high saturated fat content. This has been proven otherwise in the last decade when people began to question the claims of the propaganda. Found in tropical countries like India, Sri Lanka, Thailand, Philippines etc. Coconuts have several benefits including hair care, skin care, stress relief, cholesterol level maintenance, weight loss, boosted immune system, proper digestion and regulated metabolism. It also provides relief from kidney problems, heart diseases, high blood pressure, diabetes, HIV, and cancer, while helping to improve dental quality and bone strength. So is it actually good for you? The oil of a coconut has a large presence of lauric acid, capric acid and caprylic acid, and respective properties, such as antimicrobial, antioxidant, anti-fungal, antibacterial and soothing qualities. So in other words, it is AMAZING for you! 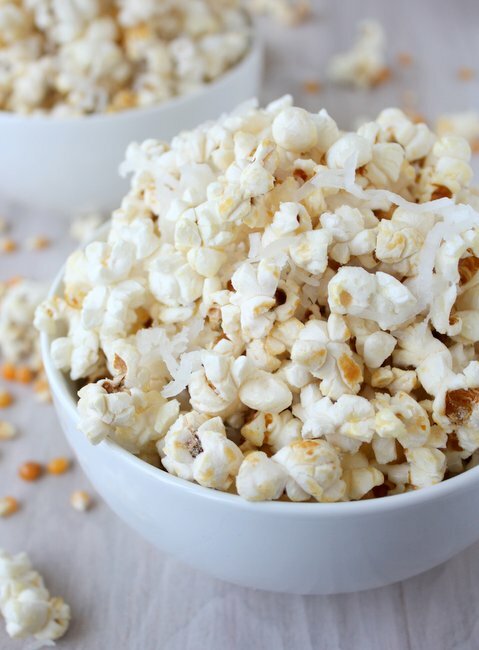 Popping Popcorn - First, add the coconut oil and popcorn to a heavy-bottomed pan. Coat the area of the pot with the oil, and use just enough popcorn to make a single layer over the bottom of the pot. Give the pot a little shake to make sure all of the kernels are coated with oil. Next, place the pot over medium heat. Put the lid on the pot, leaving it slightly open so that steam can escape. It should take about five minutes for the popcorn to pop completely. Yum! Smoothies - Add one tablespoon of coconut oil into your favorite smoothie recipe to increase your energy! Cheekbone Highlighter - Apply a small amount on cheekbones over makeup for natural glow. Shaving Lotion - Sensitive skin? use coconut on dry skin to get a close shave, and a moisturizer at the same time. Makeup Remover - Wash your face using coconut oil to remove any makeup without any irritation...P.S. Healthier, stronger and longer eye lashes are just a bonus! Fade Age Spots - Rub on hands or other areas daily to fade signs of aging and age spots. Sunburn Care - Use instead of aloe vera for a great soothing moisturizer to use after you've gotten a bit too much sun. Leave-in Overnight Conditioner - Looking for a deep conditioning hair treatment? Rub a small amount of oil into hair (mostly at ends), comb through and put hair in a loose bun before bed, and wash out in the morning. Defrizzer of Split Ends - Just put a tiny amount on your hands and run them through the frizzy areas. Comment and let us know any other ways that you put this great oil to use, or which is your favorite way of using it!